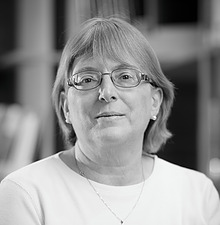 Marlene A. Eilers Koenig is an internationally recognized expert on British and European royalty. Former News Librarian (AP, CNN, NPR, Daily Telegraph). Current: Academic librarian. Author of Queen Victoria's Descendants (Rosvall Royal Books: 1997), and Queen Victoria's Descendants: A Companion Edition (Rosvall Royal Books: 2004). Edited A Romanov Diary (the autobiography of Grand Duchess Marie (Princess of Greece) of Russia published by Atlantic International (1990). Articles published in Majesty, Royalty Digest, Royalty Magazine, Atlantis magazine &, European History Journal. Provided research for Greg King, David Duff, Hugo Vickers, among other authors Contributed chapters for The Grand Duchesses (Grand Duchess Kira) and The Other Grand Dukes, (Grand Duke Michael Mikhailovich) both published by Kensington Books. Articles published in Eurohistory Journal include: The Marriage of Prince Arthur of Connaught and the Duchess of Fife; An Imperial Wedding in Washington, D.C.; Young Affie (2 parts); Prince Louis Ferdinand of Prussia and Grand Duchess Kira of Russia wedding; The Diamond Wedding Anniversary of King Michael and Queen Anne of Romania, Prince Tomislav of Yugoslavia; Crown Prince Alexander of Yugoslavia celebrates his 60th birthday; the Margrave and Margravine of Baden: Berthold and Theodora; Obituary: Princess Luise of Prussia (1917-2008); A Silver Wedding Anniversary in Belgrade, the 90th Birthday of King Michael of Romania; the Counts of Gleichen (3 parts); the Wedding of Princess Viktoria Luise of Prussia and Prince Ernst August of Hanover; Landgraf Moritz of Hesse (1926-2013); Prince Maurice of Battenberg' Princess Frederika of Hanover; the Spanish royal marriages in 1935; Princess Augusta of Cambridge (Grand Duchess of Mecklenburg-Strelitz); Alex Werhner; Timeline for a Rescue: Nicholas II; Ernst August vs Ernst August; King Michael of Romania; Hessian Endings; Grand Duke Adolph of Mecklenburg-Strelitz. Royalty Digest: Baby Bee, Queen Sophie of Greece 'One of the Best of Women;' A Bride for Boris; Anita Rhinelander Stewart -An American Princess; Queen Adelaide; Princess Olga of Greece and Denmark (Princess Paul of Yugoslavia); The Royal Marriage Act; Princess Edward of Saxe-Weimar; Remembrance: Countess Mountbatten of Burma; Duchess Marie of Mecklenburg-Strelitz; Grand Duke Kirill of Russia; Duchess Jutta of Mecklenburg-Strelitz; Nonnie - an American Princess; the Cumberland Princesses. Majesty Magazine: Girl Power, The Ones that Got Away (2 parts); Trials and Tribulations (Princess Arthur of Connaught) Once Upon a Time (George and Marina's wedding); Cold Climate, All You Need is Love (Willem-Alexander and Maxima);2 part The Exiles; Girl Talk; Family Tree. Berkswell's The Royal Year: from the mid-1980s to the late 1990s covered British & foreign royal visits to the US including the Prince and Princess of Wales visit to D.C. (1985), the Duke and Duchess of York in Connecticut, several visits of the Princess of Wales to New York City and D.C., Queen Elizabeth's II state visit, Queen Margrethe of Denmark's state visit; visits of the Duke and Duchess of Gloucester, together and separately to New York and D.C., the Duke and Duchess of Kent in New York and Maryland, Prince and Princess Michael of Kent, separately and together in New York and D.C., Princess Margaret, attending the ballet in New York and at Kennedy Center, the Prince of Asturias' graduation from Georgetown University, the King and Queen of Spain in New York and Washington, D.C., the King and Queen of Sweden in New York and D.C., and the Queen alone on engagements in New York and Washington, D.C., Queen of Norway in Washington, D.C., Crown Princess Mette Marit and Crown Prince Haakon of Norway (separate trips) in Washington, D.C., the Princess Royal and Princess Alexandra visits as well. I also wrote feature pieces including the wedding Lady Helen Windsor and a profile of Prince Philip's four sisters. Two Blog; Royal Musings and Royal Book News. The latter blog is the successor to my newsletter, Royal Book News, which I published for 25 years. Media appearances: CNN, NBC, ABC, BBC, CBC, Sky News, Today.com, Dateline: NBC, WUSA, WRC, numerous radio stations in the USA, Canada & the UK. Interviewed by the New York Times, the Washington Post, The Times, The Daily Telegraph, the Washington Times, USA Today, the Today Show, Town & Country, Harper's Bazaar, Daily Express, the Sun, Royal Central, Agence-France Press television, Voice of America, Business Insider, Hello, Time magazine, Vanity Fair and other television, radio, print and web media in the USA & the UK. In November 2017, Mrs. Koenig was one of several experts for the Schloss Kronberg episode of Wartime Crime on the American Heroes Channel. For the wedding of the wedding of the Duke and Duchess of Sussex in May 2018, Mrs. Koenig was interviewed by WRC (Channel 4 in Washington, D.C.), ITV, BBC (three different programs) and by Ukraine television. Areas of expertise: British and European royal families and royal houses, especially the descendants of Queen Victoria, royal weddings and traditions, the peerage, titles and styles, British and European royal history from the Plantagenets to the present. Mrs. Koenig has a BA in English (with enough credits for majors in history (U.S. and British history), Theater history and a minor in journalism. She has a master's in library science, specializing in reference and research. The statement is correct. According to English law, everyone, but peers of the realm and the sovereign are legally commoners. Being royal is not a legal status. There are no laws that create a royal. Titles are at the behest of the sovereign, not Parliament, which makes the laws. Thus, Prince Harry's legal status is commoner. His brother, William, is a peer of the realm. He is not a commoner. I know this is difficult for people to understand, but it is the established legal status. Being royal is not defined in English law. In other words, there are no laws that create royal status ... This is a well-known fact and has been written about for decades in law journals, newspapers, magazines, etc. Before the change in the House of Lords, a member of the Royal Family could not take a seat until created a Peer ... why? According to English (now UK law), the prince was not a peer. In other words: a commoner. Do not confuse precedence or rank with the law. Precedence and rank is a part of the court system, established by the sovereign - the only member of the Royal House who has a constitutional role. So, yes, Prince Harry's legal status is commoner. I was wondering if you knew if Princess Eugenie would take Jack Brooskbank's name when they get married? Do you think she will? What's the history with royal women taking their husband's last names (who aren't royal)! I expect there will be an announcement about how Eugenie will be styled. She does not have to use Jack's name. Princess Margaret was styled as HRH The Princess Margaret until Antony Armstrong-Jones was created an earl, a few weeks before Margaret gave birth to their son. After he was created an earl, Margaret was styled as HRH The Princess Margaret, Countess of Snowdon. Princess Patricia of Connaught, who married the Hon. Alexander Ramsay of Mar, chose to relinquish the HRH and style of Princess and be styled as the Lady Patricia Ramsay with precedence before the Marchionesses of England. She did not stop being a princess. She was not styled a such as after marriage. Princess Louise married the earl of Fife - he got upgraded to a Duke by Victoria. The Hon. Angus Ogilvy turned down am earldom. 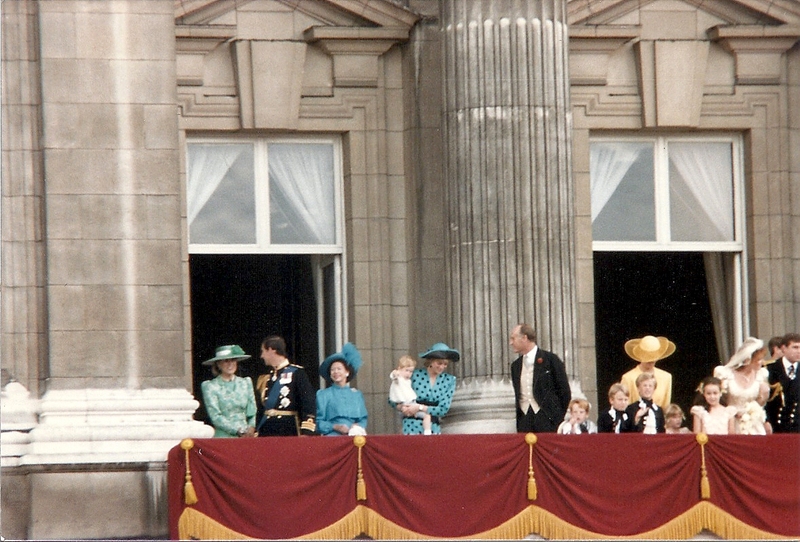 Alexandra was styled as HRH Princess Alexandra, the Hon. Mrs. Ogilvy until he received the KCVO. Alexandra's new style was HRH Princess Alexandra, the Hon. Lady Ogilvy. Anne and Mark also turned down an earldom. She was HRH The Princess Anne, Mrs. Mark Phillips until she finally accepted being named as Princess Royal. This was nearly 2 years after Mark had fathered a child out of wedlock and there were reports of issues in the marriage. As Princess Royal, Anne was no longer styled by Mark's surname. Marlene, is there any way to automatically send your blog to an email address? Hi! Marlene! How may we update the list of the descendants of Queen Victoria? Thanks. Hi Marlene- my name is Holly and I'm with E! News. I'm reaching out because we are interested in speaking to you about the upcoming birth of Baby Sussex. If you are interested and available please let me know the best way to reach you.